One thing has become clear on their trip to Austin: in America, everything is BIG, of course, and a festival like the SXSW is no exception. And you can quickly lose the overview. 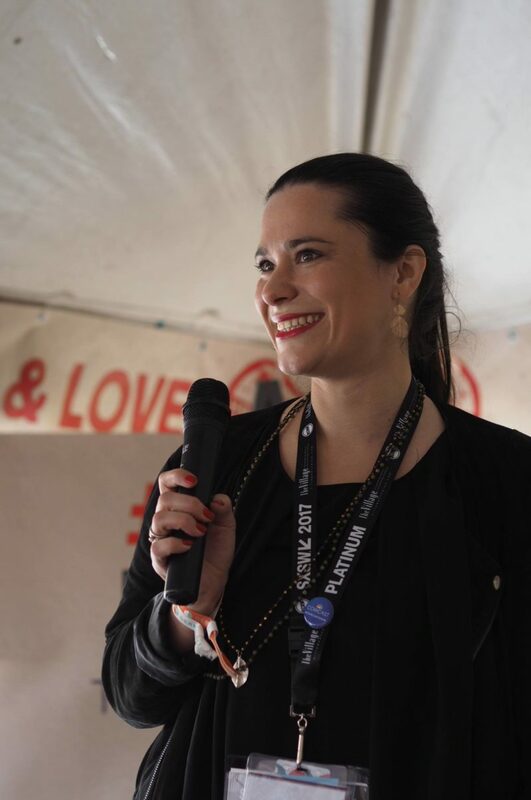 Fortunately, Sanja Stankovic, co-founder of Hamburg Startups, had already prepared a lot for the travelers in advance, from coaching and access to relevant events, to speaker options, and she was always there for advice and support. Our great partners from Deutsche Bank, EY, Sutorbank, XING and fischerAppelt – along the travel fonds of Baqend, nüwiel and Horseanalytics – made this comprehensive support possible. 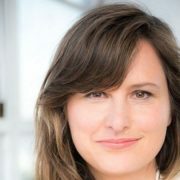 Enri Chantal Strobel from HorseAnalytics had a place in FlyingLab of the Lufthansa and enjoyed a flight to Texas with many “mini conferences” on board. Either way, a certain degree of planning is essential for the SXSW. “Inspiration, network, US contacts,” Daniel puts it on three points. The others can only agree to this because the opportunity to get to know international investors and business partners is probably nowhere as big as at the SXSW. And were the expectations fulfilled? Mostly, as far as the quality of the speakers and lectures is concerned. Felix, however, complained that the crowds were often so great that one could not get what was going on. Enri was overwhelmed by the PR work and was happy to have Sanja’s support, who had already supported Tinnitracks with the press in 2015. The offer was not particularly convincing. Matthias was enthusiastic about the performance of billionaire Marc Cuban, but the overall quality of the talks left something to be desired. And Luke, who uses the Augmented Reality technology with PuttView, was amazed at how underrepresented his specialty was in Austin, as the focus was on Virtual Reality. The list of events where our startups were is really long. Of course, as a Hamburg delegate and therefore representatives of our ecosystem, the official Hamburg events are on the agenda: the Reeperbahn Hamburgers, the matchmaking Hamburg TexConnect or the Digital Media Women Day. 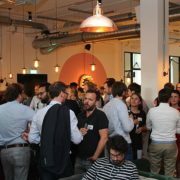 Hamburg Startups was there as a partner and thanks to the Sutor Bank, we were able to present the Reeperbahn Burgers on Saturday. And, of course, the #Meatup on the rooftop of the steak restaurant Fogo de Chao, to which the startups as Hamburg delegates were granted access. There were various networking events in the Sparks VIP Lounge at the Capital Factory; the Women Entrepreneur’s Lounge or the FundingPost Venture Dinner. Various events in the country houses “German House” or the “Dutch House”. And the Austin Rodeo. And much, much more. Jonathan Kurfess from Appino was excited about the events of Joe Biden, Cory Richards and Van Jones. And some concerts – after all, the SXSW is alsoa great music festival! The whole SXSW is a gigantic experience, which sometimes brings its visitors to the brink of the challenge. And then there are those little moments and random remembrances that remain in the memory. Lukas, for example, has met RTL’s chief editor in a queue. 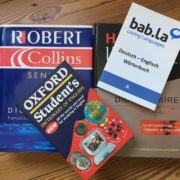 The Nüwiel team was delighted to meet journalist Brady Dale of the Observer, and Felix rejoiced about a customer now expat in Austin, who gave him valuable contacts. In addition to the already mentioned rodeo, where the national anthem was fiercely sung, one thing you cannot escape when visiting Texas: a real barbecue. This is also helpful to understand the mentality of Americans, Daniel says. Felix especially recommends Stiles Switch and Lambert’s as a BBQ place. Sanja and Daniel are clear fans of Smitty’s BBQ in the small town of Lockhart. Food is a a great ice-breaking topic anyway, and not just in Austin. There were many voices to listen to, the food startups of all kinds for the next big thing held. 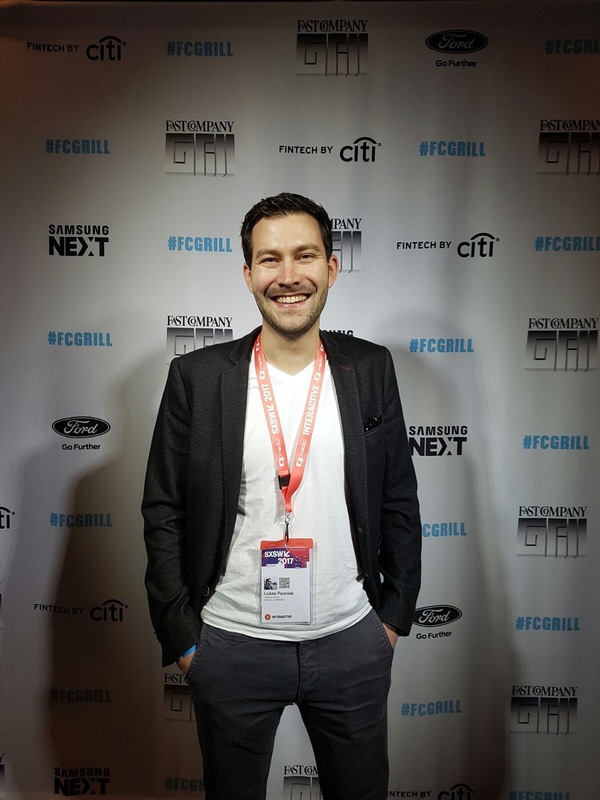 Curious encounters do happen; Jonathan had to go on his bike in the middle of the night with a dead cell phone to meet the founder of the music startup Groovecat in the middle of nowhere. After that, they worked together at the conference. And Matthias had not only a great conversation with the CTO from MI7, he also received an umbrella. Very helpful, because on Saturday it rained heavily. 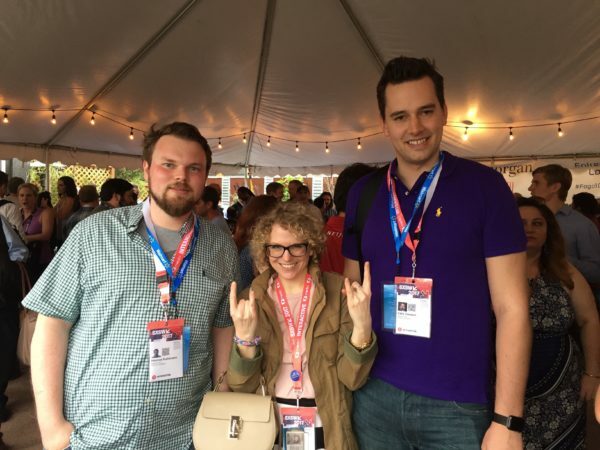 In general, we can say that every startup at the SXSW was well taken care of,. This required some preparation and planning, otherwise the South by Southwest can quickly become very confusing, and you only find out afterwards about all the things you missed out on. Start preparing early. Hotels are booked out fast and then get really expensive. Don’t forget to practice your pitch. Americans have a different idea of pitching. Practice, practice, practice! Have a good time, be curious and check out events and people who act outside of your core business. 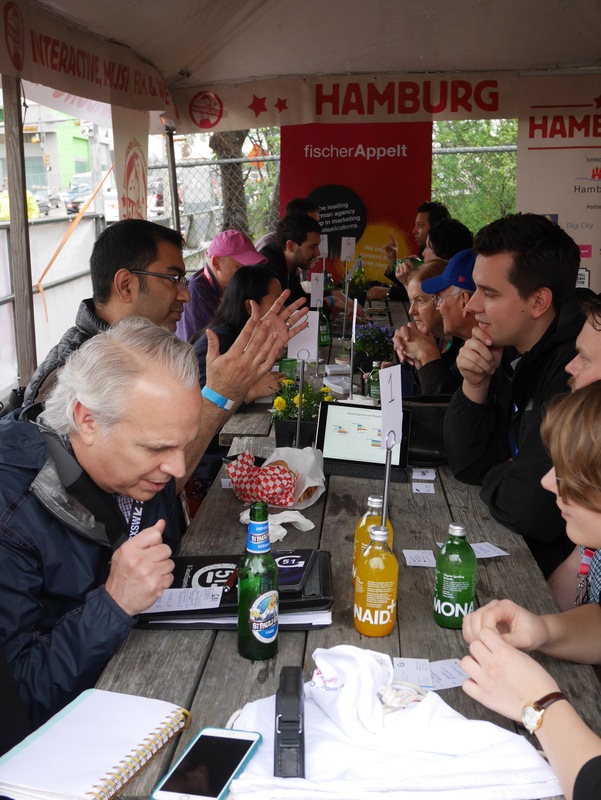 Don’t forget to rely on Hamburg Startups if you’re caught in the SXSW jungle. Make a list of the conferences you want to attend, come early to get near the stage and get a hold of the speaker at the end of the event. Do not underestimate the seven-hour time difference and the American food. 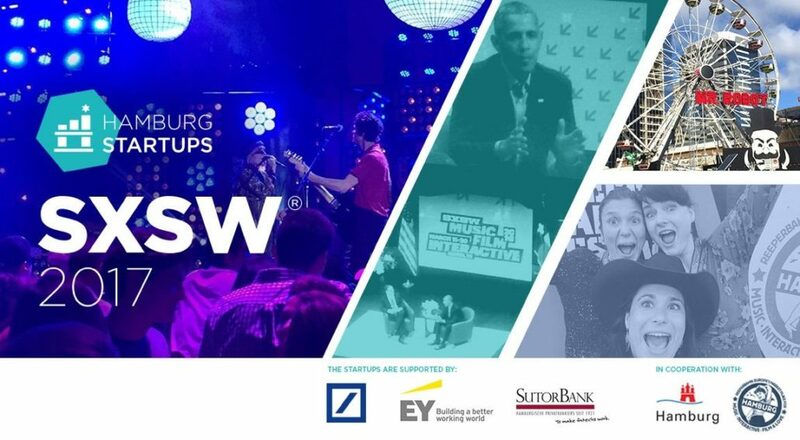 More pictures on our Facebook Album “Hamburg Startups #FotoLiveStory at the SXSW 2017″! That is how Tinnitracks as winners of the Startups@Reeperbahn Pitches traveled to Austinchosen by the coveted SXSW Accelerator . 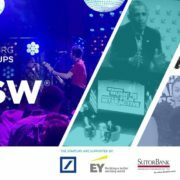 In 2016 Baqend got itself a double victory at the Startups@Reeperbahn Pitch and thus directly secured their trip to Austin in March.Together with our partners the Deutsche Bank , EY , the Sutor Bank , XING and fischerAppelt we will send two other startups (Nüwiel and HorseAnalytics) on the trip to Austin, along Baqend. 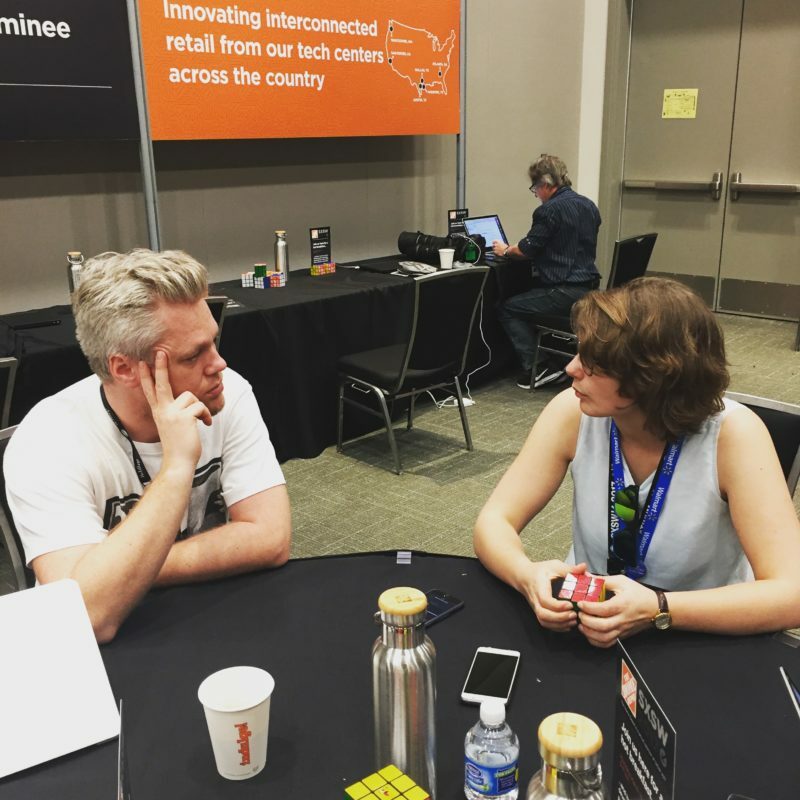 HorseAnalytics even took part in the SXSW Accelerator and made a proud runner-up! 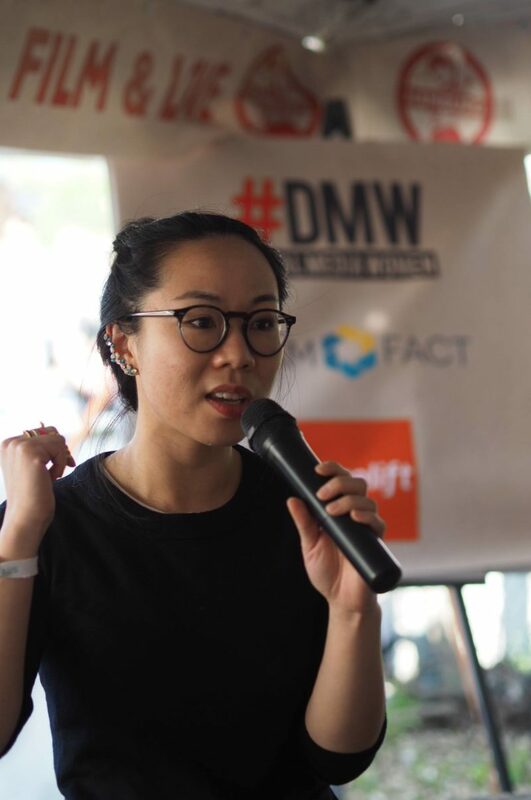 "A great pitch is like jazz"
An Interview with Leah Hunter Startups looking for internationals – mission impossible?